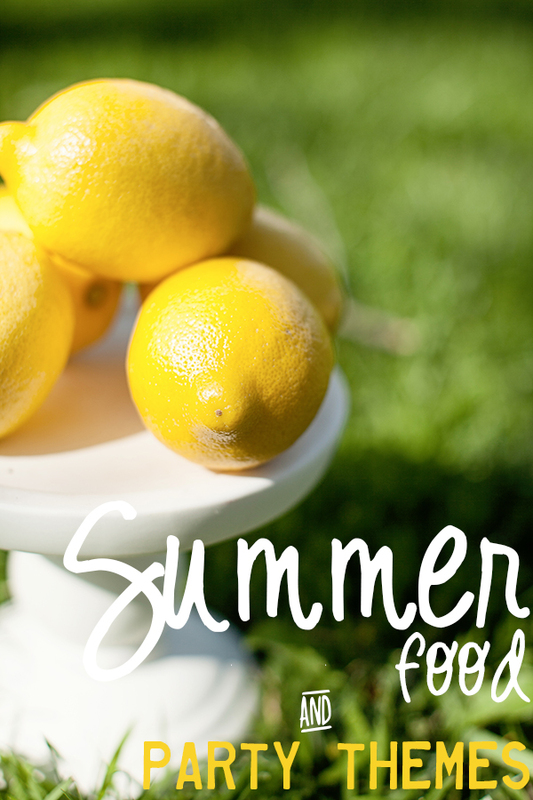 It’s officially the unofficial start to summer that we’ve all been craving! You know, that time of year when people start getting extra friendly with a neighbor or pal with a swimming pool. Memorial Day is here and, like most Americans, you probably have plans to spend the sunny day-off outside, on a deck, by the water, with good food, drink, and better friends. The flavor combination in this beer cocktail tastes exactly like summer is supposed to taste — light, sweet, refreshing, and maybe just a little bit boozy! 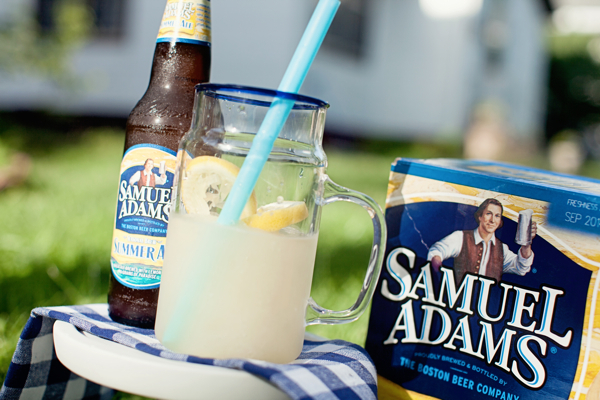 We made our own fresh-squeezed lemonade, slushed it up in the blender, and topped it off with ice cold Sam Adams Summer Ale. 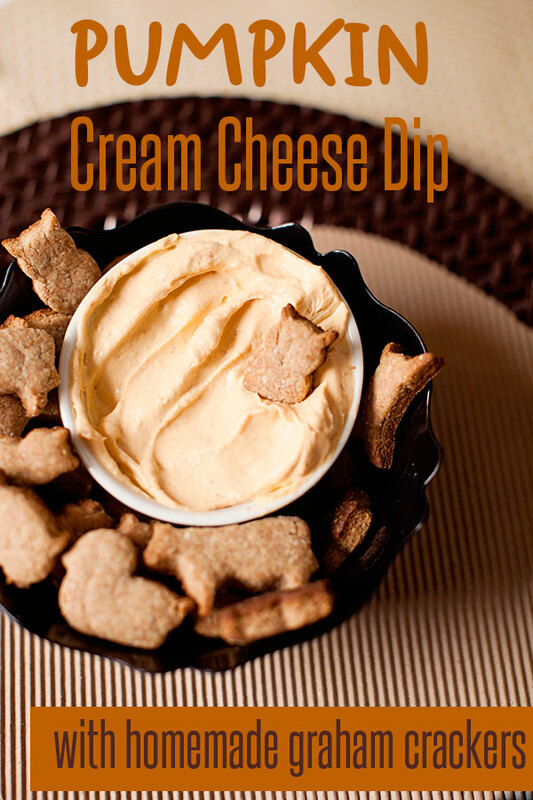 Add color, spice, and a little flare to your cookout spread with this Cajun-inspired recipe. 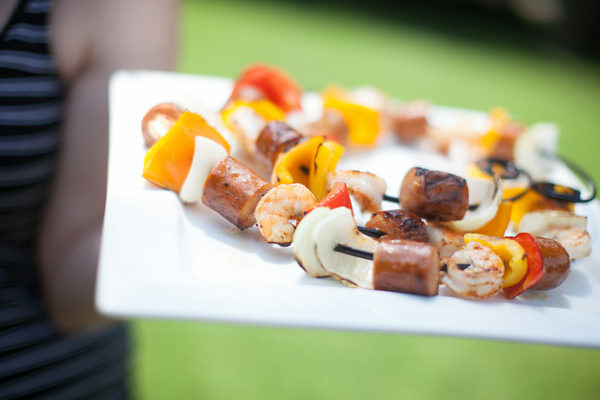 We layered Andouille sausage with shrimp, peppers, and sausage for something like a shrimp boil on a stick! 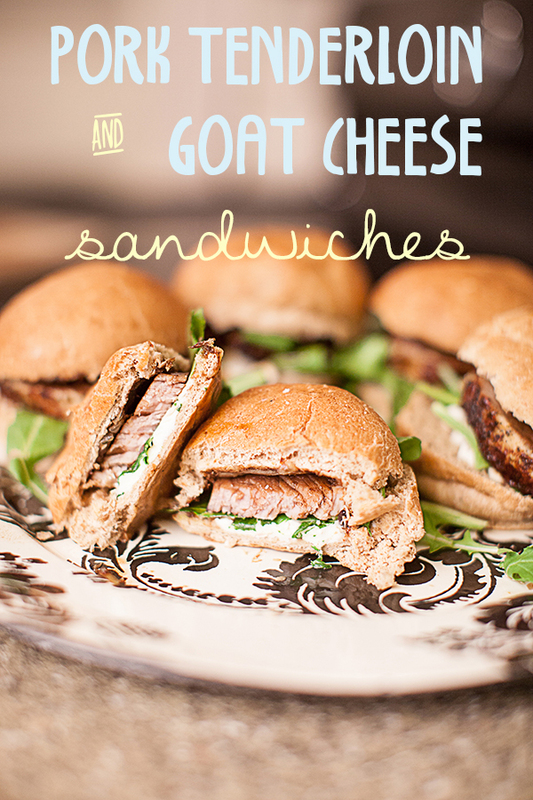 Serve with grilled corn and potatoes to really pull the theme together. Are you tired of bland, store-bought salsa, but intimidated about making your own homemade chip-dip? 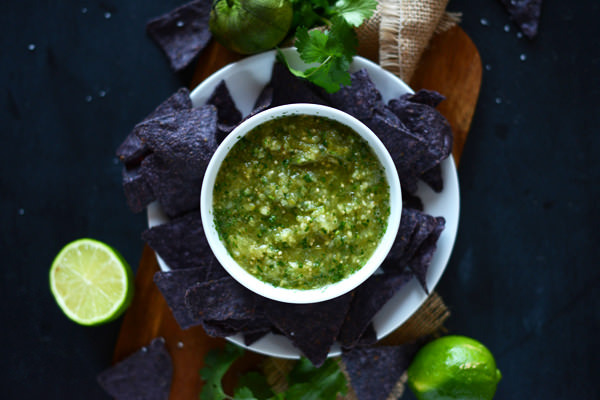 This roasted tomatillo and pineapple salsa is sweet and refreshing, with a perfect amount of spicy bite. It’s full of complex flavor notes and a breeze to make. The tomatillo is tangy, the pineapple saccharine, and salsa staples like cilantro, lime juice, garlic, onion, and salt strike a harmonious balance. Throw this salsa down with some blue corn tortilla chips and watch your guests lick the bowl clean. You’re trying to lose weight, but you still deserve a social life, so you start your night out with a plan — because fail to plan, plan to fail, right? You’ll have a low calorie cocktail or two, you’ll drink lots of water in between, and you’ll steer clear of those the appetizers you know your friends will order. But before you know it, you’re having a great time and that plan goes right out the window. While your night is amazing, the next morning: not so much. You wake up feeling bloated, sick and remorseful. What the heck happened? 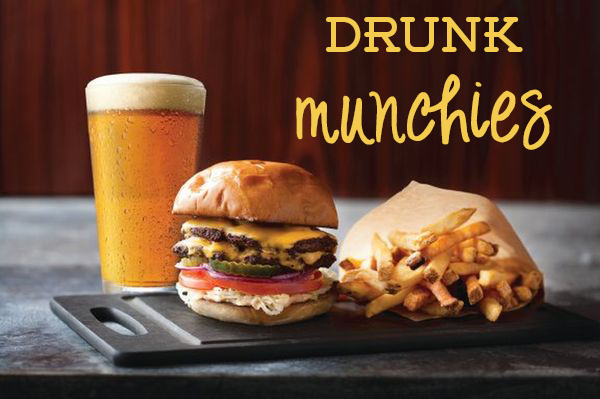 Drunk munchies are real. According to the American Journal of Clinical Nutrition, people eat more calories and make unhealthier food decisions on days that they drink. Read: fried, greasy foods consumed well after dinner time. The more the merrier is my food philosophy. 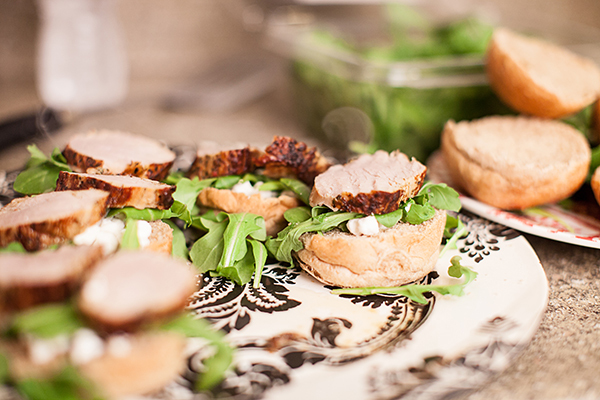 I love hosting and I really get my jollies by sharing dinner with as many friends and loved ones as I can. That, to me, is the soul in food. I never like to serve the same thing twice. Who would ever want to come over when they know it’s Chicken Something again? But when the menu is always a little unexpected, it makes the invitation that much more enticing. This time of year I find any excuse I can to invite people over. Saturday afternoon football games, Friday night TGIF-ing, or just because, Autumn feels like the most inviting season of all. Halloween night, especially. Our patio always turns in to the must-be spot for family and friends. Everyone pitches in goodies for the trick-or-treaters, and we provide the turkey & black bean chili. No, you didn’t forget your child’s birthday, it’s just that darn societal expectation that you’ll bring enough goodies to feed every kid in your child’s class. So, what’s it going to be? Stay up late and scour Pinterest for something, anything, that you can throw together, or sneak out to the store and eliminate some of the hassle? For parents at some schools in Washington, Michigan, Colorado, Kentucky, and Minnesota, sugary sweets are no longer an option. This so-called “cupcake ban,” as reported by Shape Magazine, means that schools are requiring non-edible treats like pencils, stickers, and other trinkets be given. Is this a good idea? Perhaps, if parents just aren’t complying with school recommendations to bring healthier treats. But in general, we as parents shouldn’t wait to be policed by the schools. 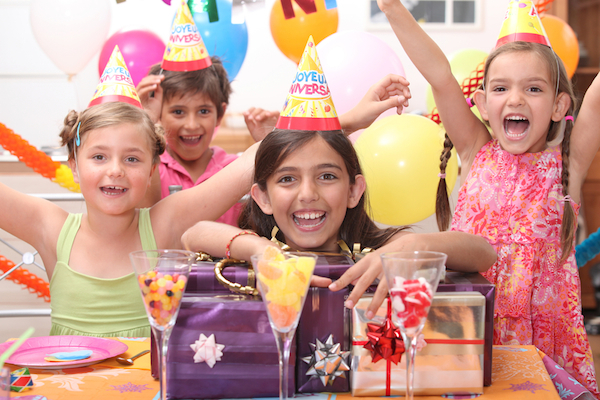 Let’s take it upon ourselves to share healthier treats in classroom celebrations. 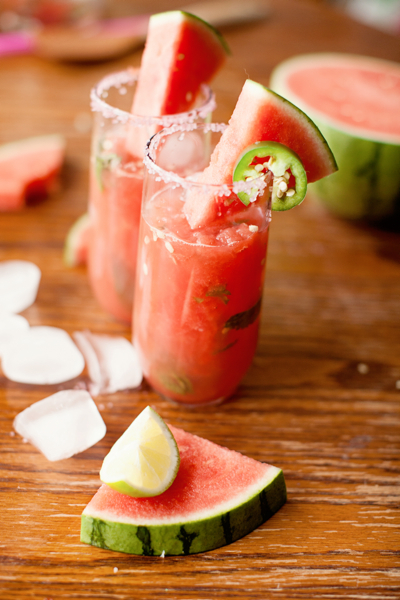 Summertime makes everything better, and when it comes to your beverage, prettier too. 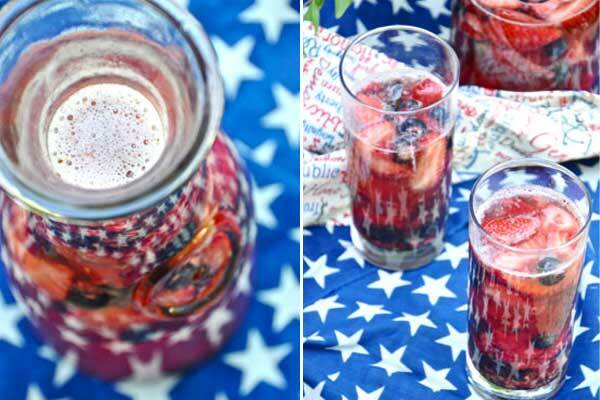 All of those fresh fruits, berries, and herbs making filling a glass seem like a delightful reprieve from the heat (or maybe just life) each and every time. Cool off, hydrate, or treat yourself from Fourth of July weekend right on through Labor Day with our oh-so-sippable list of the best summer bevvies. TALENTI FROZEN SANGRIA <– 18,000 pins can’t be wrong! 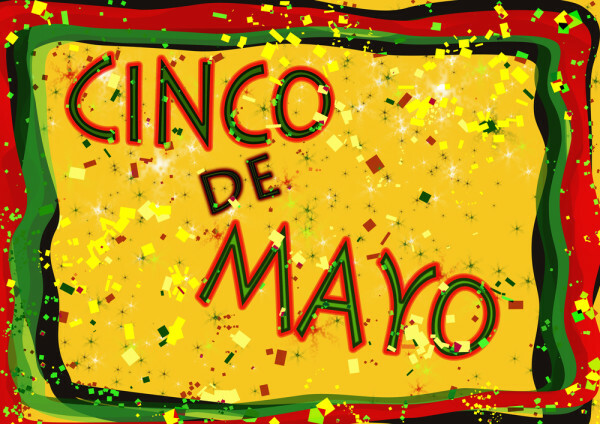 Diets in Review has been covering healthy Cinco de Mayo celebrations for 7 years! This year, rather than create yet another new recipe for good-for-you-guacamole, we’ve put together our hit list for a healthy Cinco de Mayo celebration. Because we’re pretty sure we already nailed it. 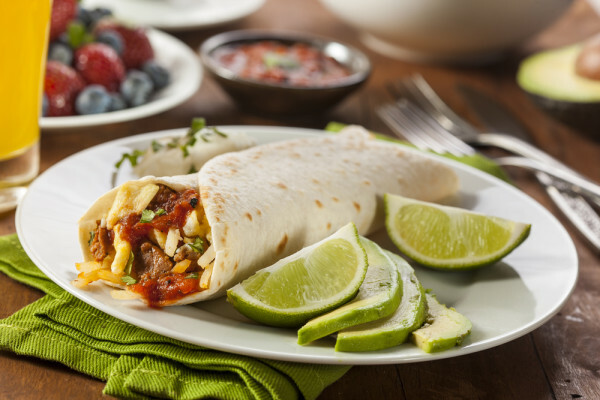 Start your day with a Fajita Breakfast Burrito. This spin on the classic gets its flavor from sausage and green peppers with a little cumin, soy sauce, and vinegar for good measure. It tastes great, and the healthy helping of protein, fat, fiber, and carbs will keep you full for hours. If you are anything like me, you like to stay fit but have a good time at night, too. I have the perfect answer for you. Below, I have some great (and healthy!) 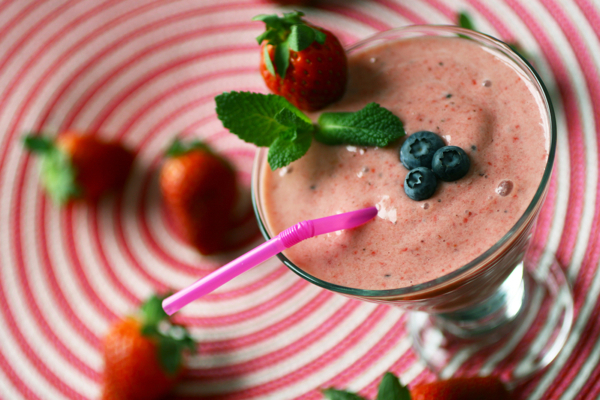 smoothie ideas that will be (almost) as healthy with a splash of spirits! Girls night, game night, or movie night can be an empty calorie bomb after a few rounds of daiquiris, martinis, and wine. Those calories in alcohol really add up! 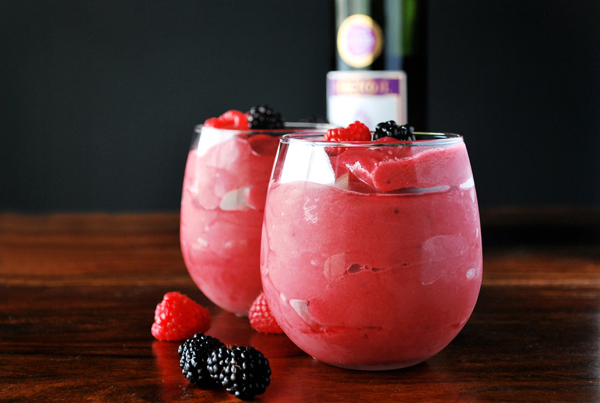 But when you make a compromise to indulge with a little of your favorite liquor swirled around in your favorite homemade fruit and veggie-based smoothie, then you get to enjoy a little of everything. 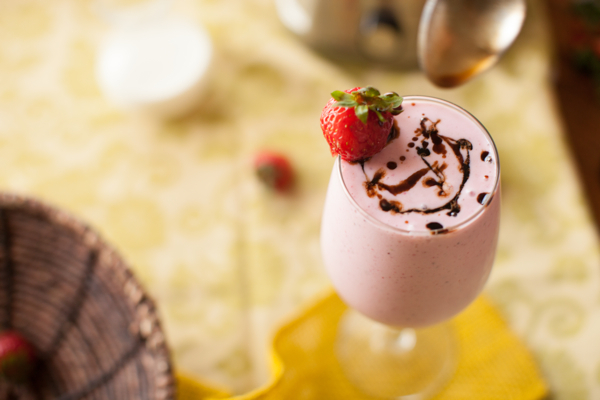 Enjoy these five healthy smoothies paired with a splash of somethin’! Okay, I lied a bit. None of these recipes won Oscars. But, hey, all hail from right here on DietsInReview and pair perfectly for the award show. Let us start off right, like any good party should: with a few beverages. 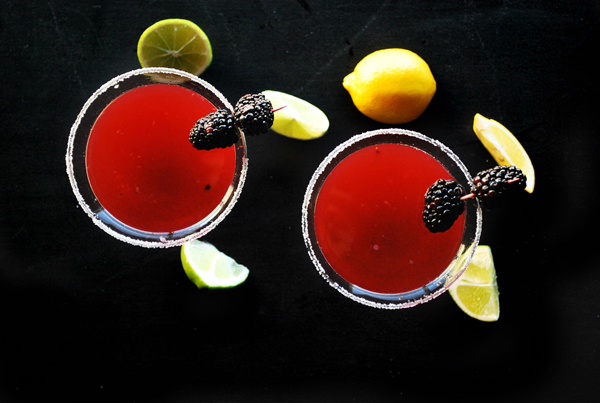 A Blackberry & Basil Martini is the perfect option for the 86th Academy Awards. Fancy cocktails were prevalent in at least two of the most prominently nominated movies this year: The Wolf of Wall Street and American Hustle. Besides that, what better way to feel like you are schmoozing with the rich and famous than with a drink that looks this fabulous? (And isn’t all that bad for you!) 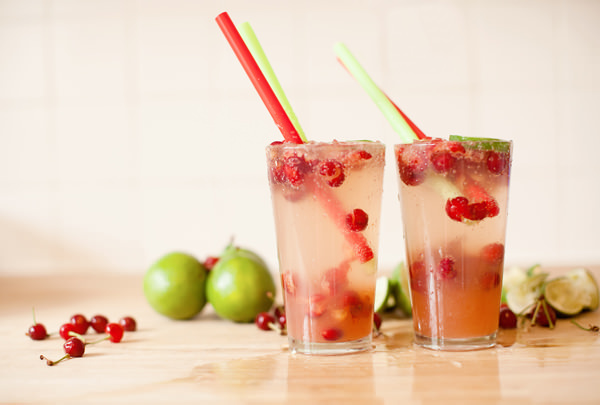 Easy to recreate a non-alcoholic version—simply substitute the vodka with some sparkling soda and use grenadine. Yum! I have this bad habit of casually inviting people to my house for any number of reasons — most recently the big NFL bowl game — and not keeping any sort of track. So when Sunday morning rolled around for a recent football game, and texts and tweets confirming attendance started popping up, I panicked. Of course I had no idea how many people I’d actually invited. In surveying the food I would serve, I was absolutely certain we’d all starve, everyone would go home hungry, and I’d be remembered for throwing the worst party ever. I was in no mood to face the grocery store one more time that weekend, especially a couple of hours before kick-off. Certainly I had enough things on hand to whip up something… anything. 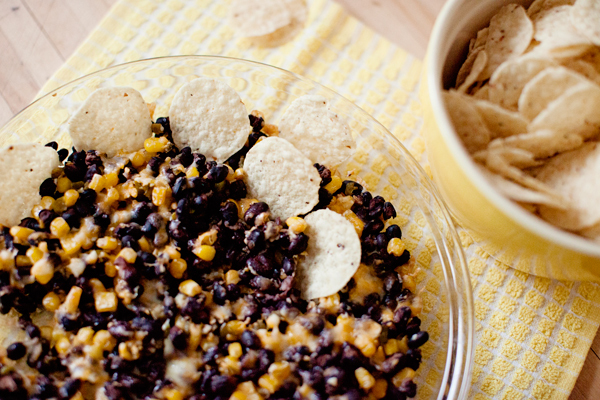 This Cheesy Black Bean and Sweet Corn Dip was the result. I have made it three more times since then and am of the belief that I could solely eat this, and only this, for the rest of my days and I wouldn’t be mad at it.